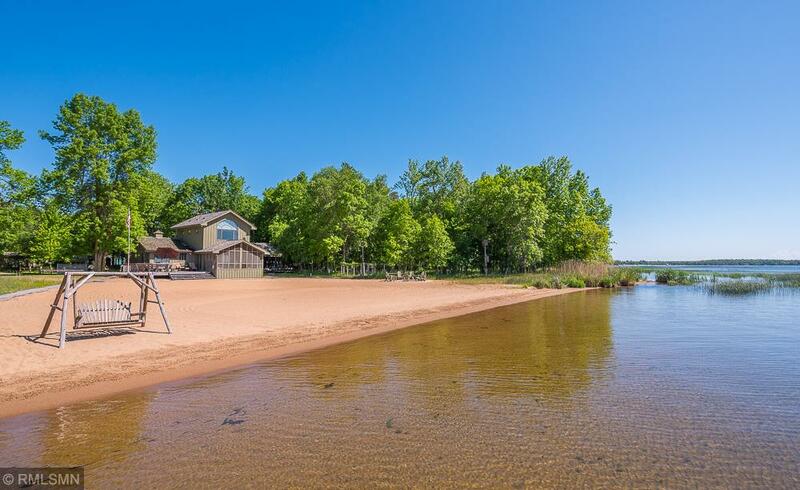 Retreat from the modern world to this 4 bedroom 3 bath Pelican Lake cabin which boast 215 ft of excellent sand frontage, a private 2.35 acre lot, level elevation to the lake and a perfect sand beach. Cabin features 2,294 sq ft, a floor to ceiling stone fireplace, Knotty pine accents and a large lakeside screen porch. Detached garage provides storage. Play a round of tennis on your own private tennis court or sit back and relax on the beach. Close to all the Crosslake and Breezy Point amenities.